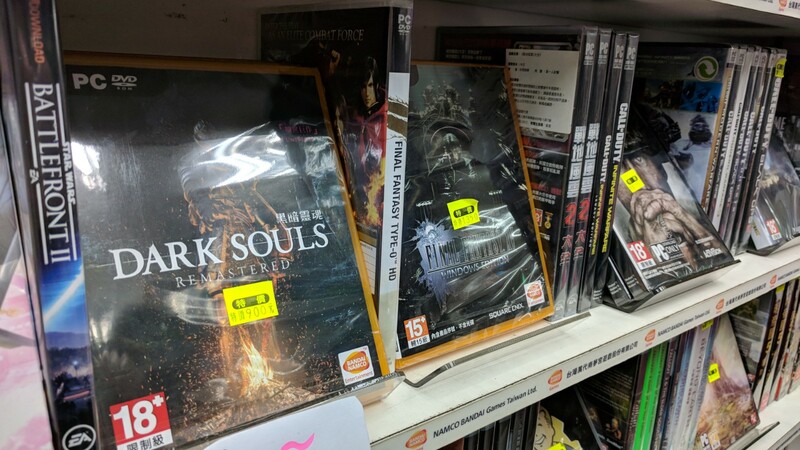 The dream lives on in Taiwan's game shops, packed to the gills with physical copies old and new. 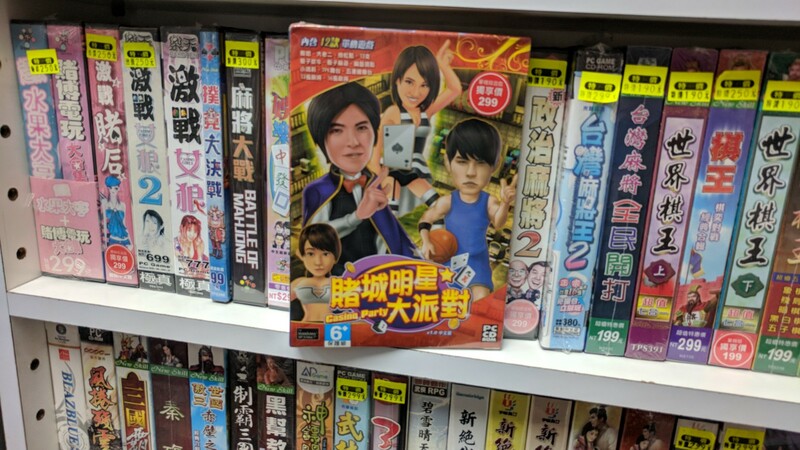 I asked the owner of this store about her bestselling games. She pointed to this shelf. 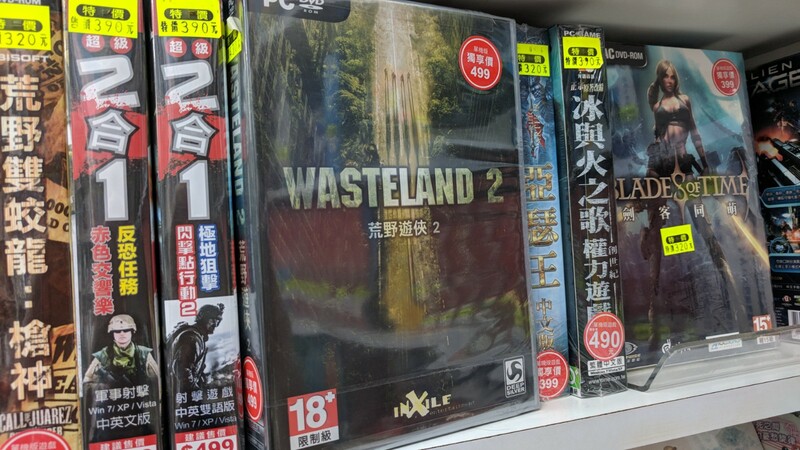 Both inXile's Wasteland 2 and Torment: Tides of Numenera got physical releases. Cool! 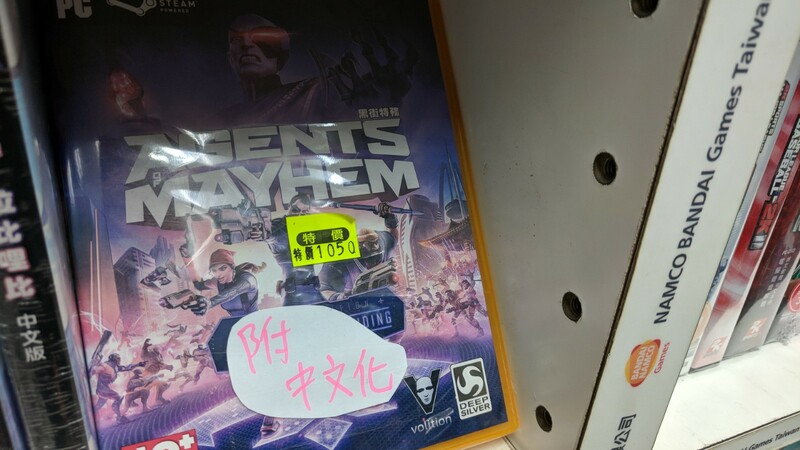 Ahh, Agents of Mayhem. You were... not very good. 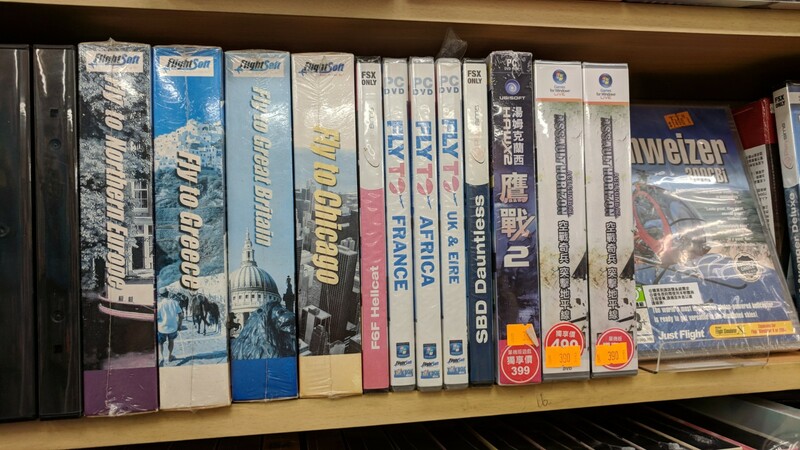 I love this collection of PC sims from the early 2000s. 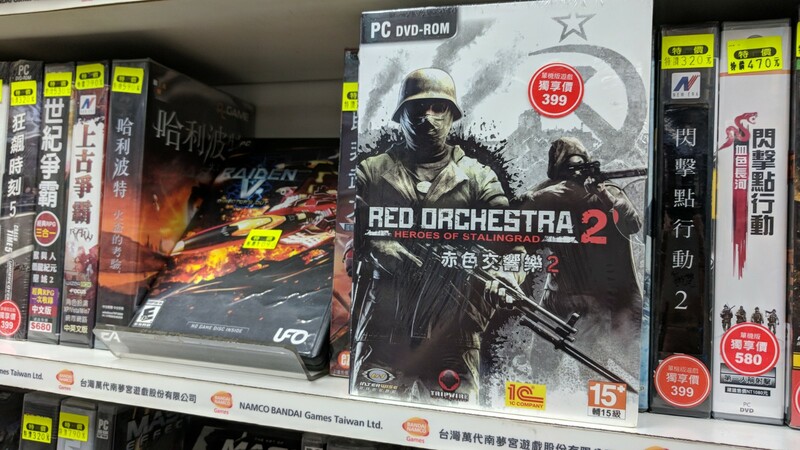 How long have they been on this shelf? 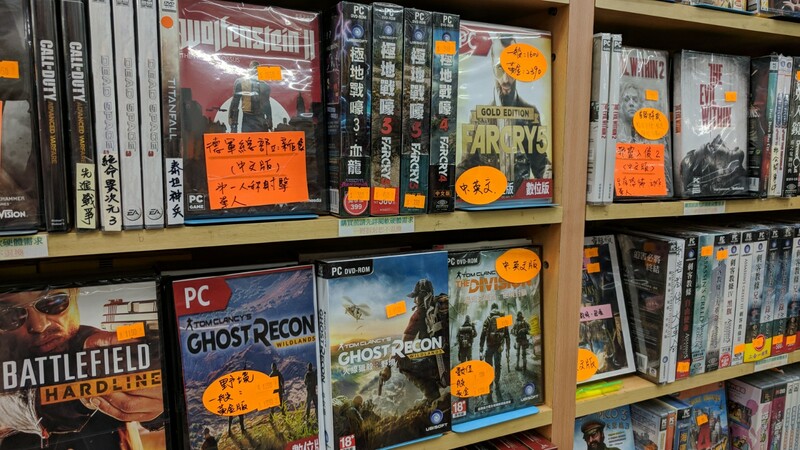 It's refreshing to see brand new PC games on a shelf. 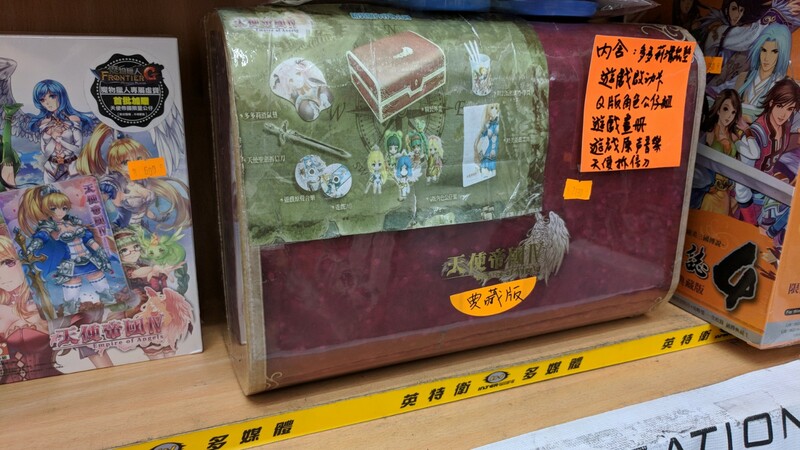 There were a few giant collector's editions like this one in the store, too. 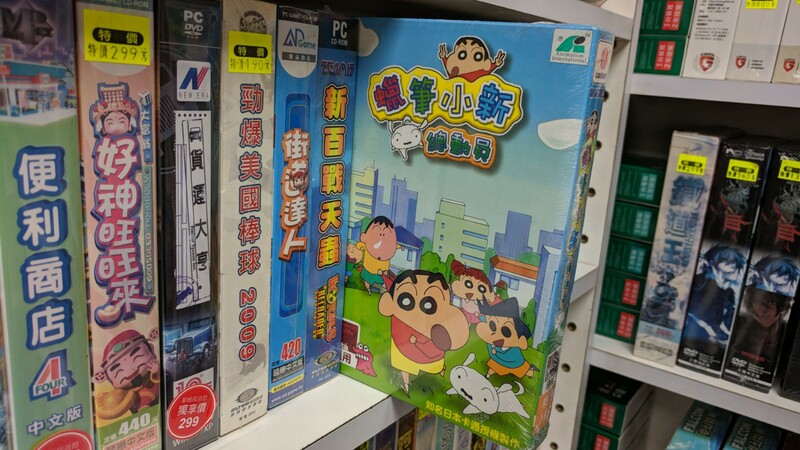 Crayon Shin-chan games probably never make it to the US, but they make it to Taiwan. 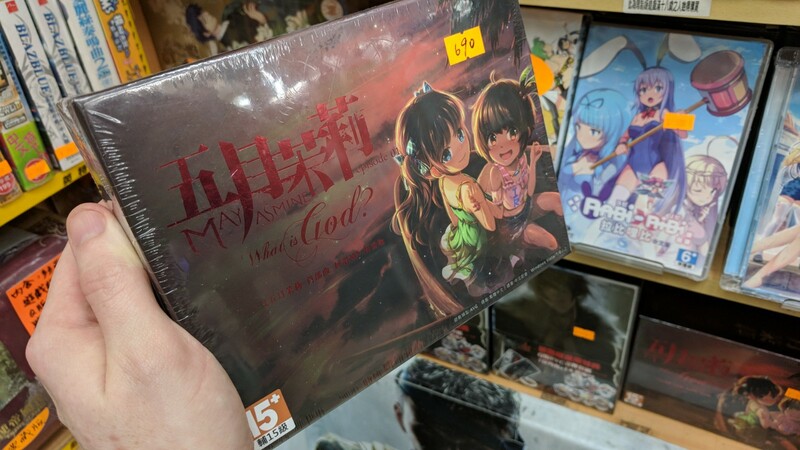 This was in a section of ero games, but after looking it up on Steam, I've discovered it's about the Indonesian riots of 1998. Huh. I'm afraid that copy of Battleborn may be stuck for the long haul. 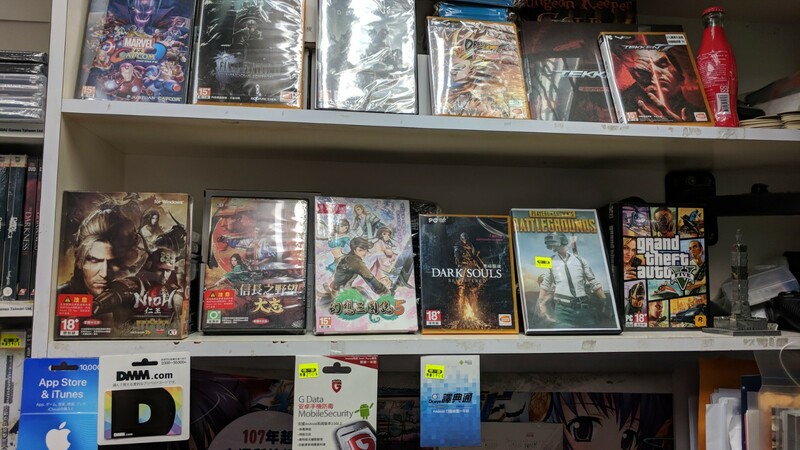 Nihon Falcom's JRPGs seem especially popular here. They have a big section! 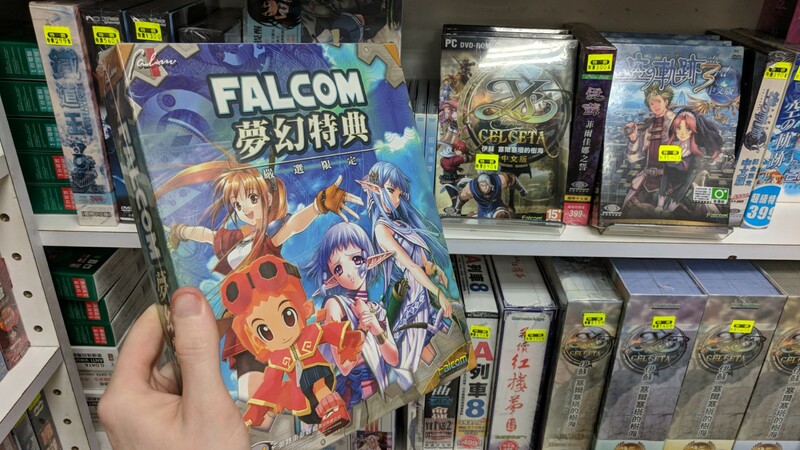 More Falcom. I bought this big box! Is this a Falcom crossover? There's no DVD in this Blood & Wine box, but we'll try not to hold that against Geralt. 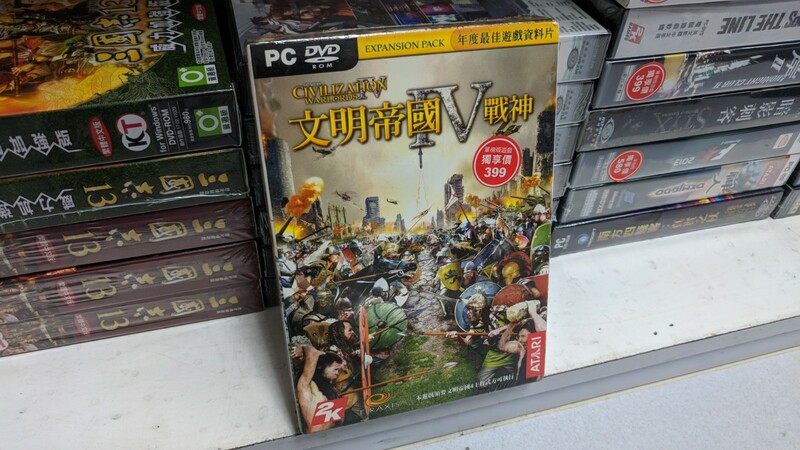 I really dig the Chinese lettering with the Civ IV logo here. 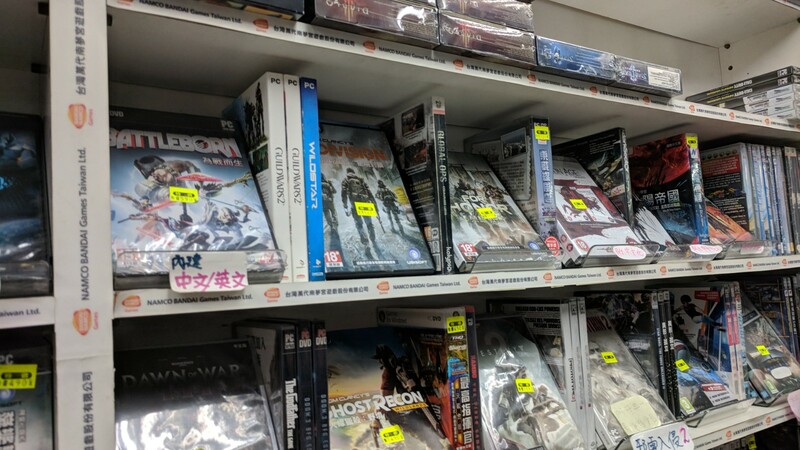 Western shooters aren't too popular in Japan, but they seem to be big here. 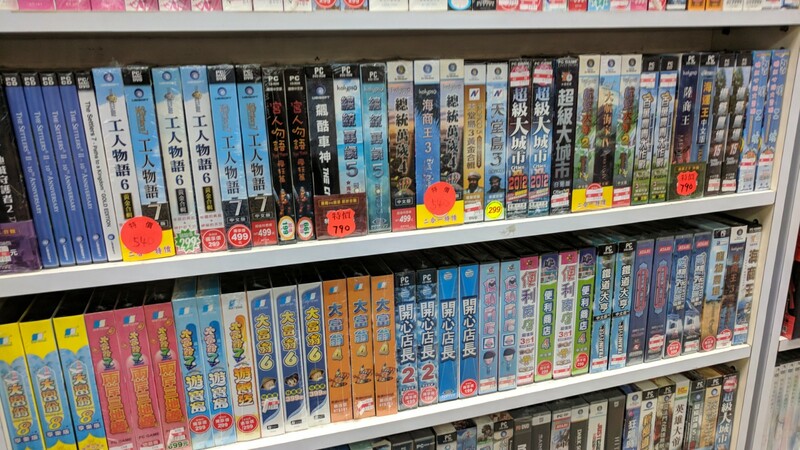 How many games can you identify? I love the variety on display here. 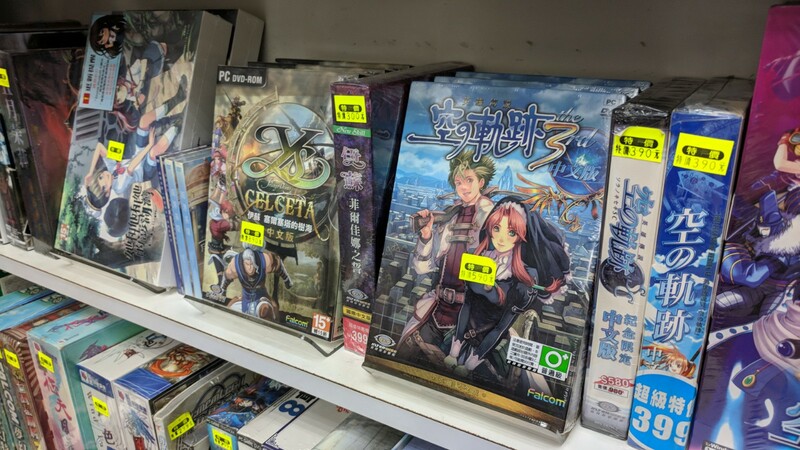 It's heartwarming to see C&C on a store shelf, even if I never got into RA3. 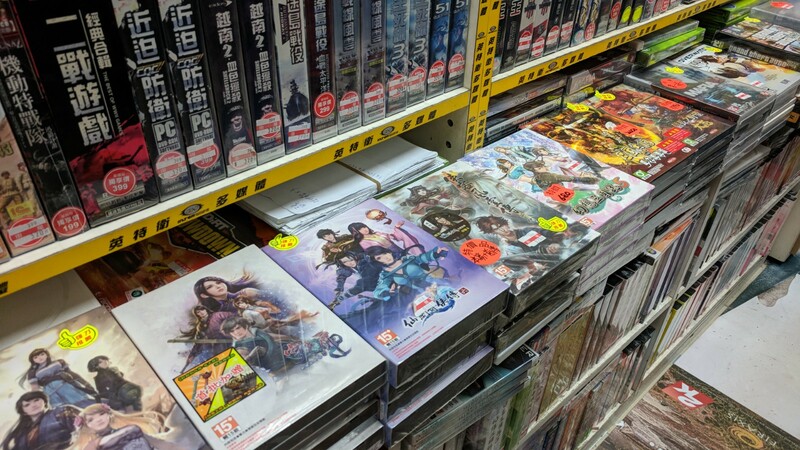 Koei Tecmo games seem quite popular here, too. Love the artwork on this Mass Effect Andromeda box. I wonder if it helped sales. 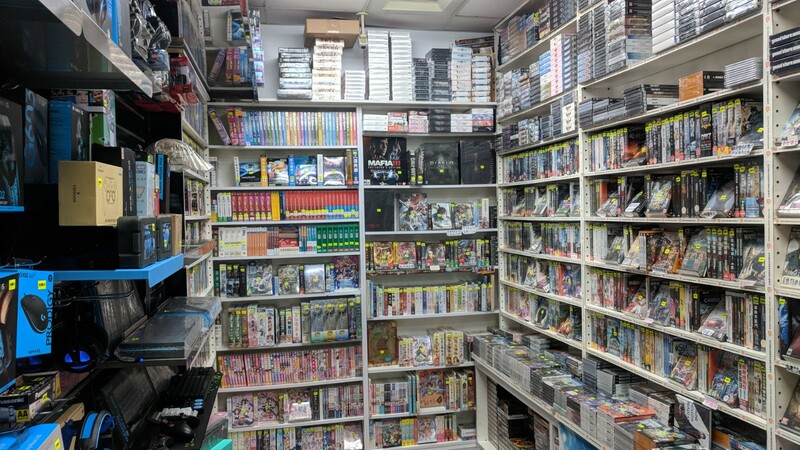 So many games for such a small space. 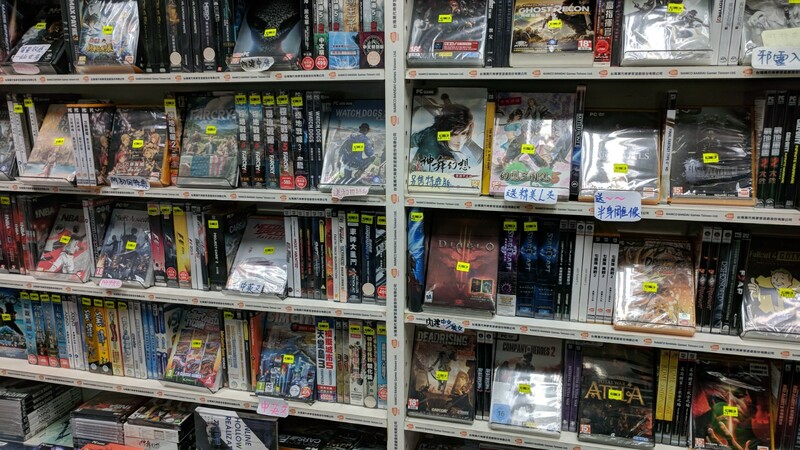 Walk into a game store in the US and you'll be lucky to find PC games at all. 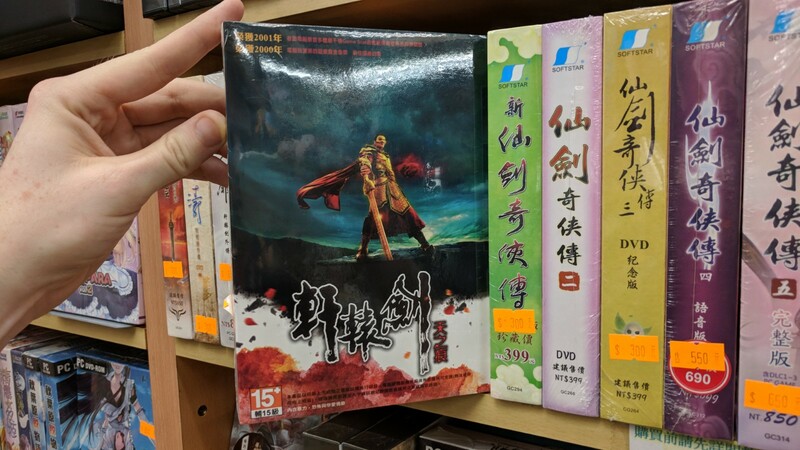 If you do find a PC section, be ready for some disappointing DVD cases with nothing inside but a slip of paper with a Steam key printed on it. 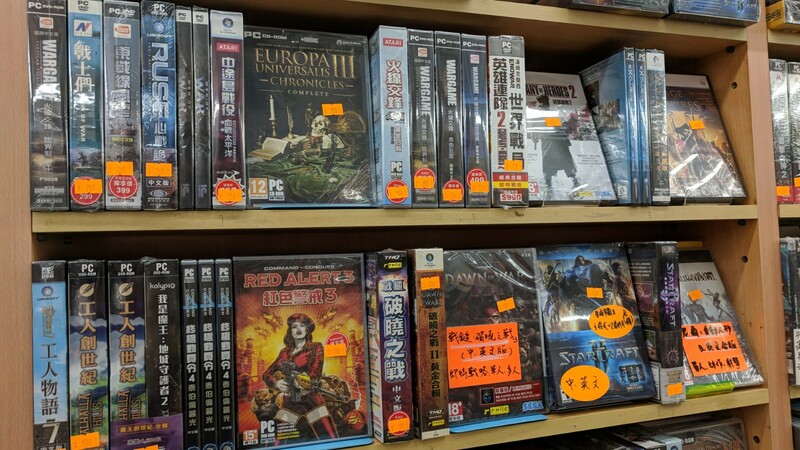 Digital games sure cut down on clutter, but a recent visit to a few PC game stores in Taiwan reminded me how nice and colorful a cluttered shelf of big box PC games can be. 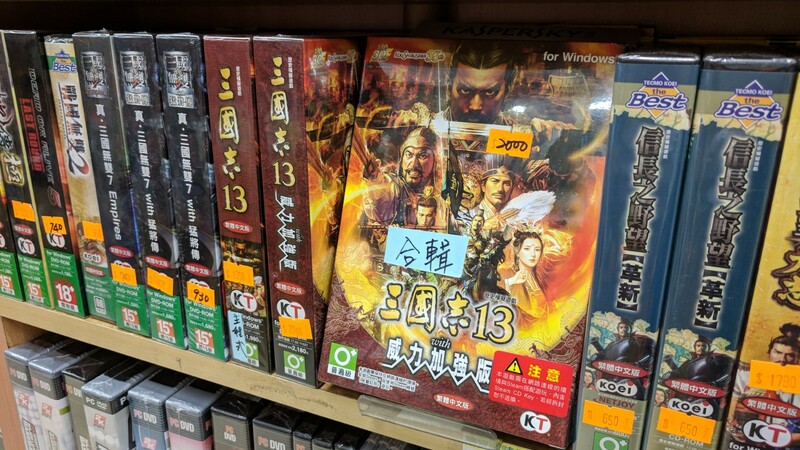 Taiwan is like an alternate universe for PC games, one centered around Guang Hua Digital Plaza, a mall in Taipei filled with tiny electronics stores and component shops and game stores. 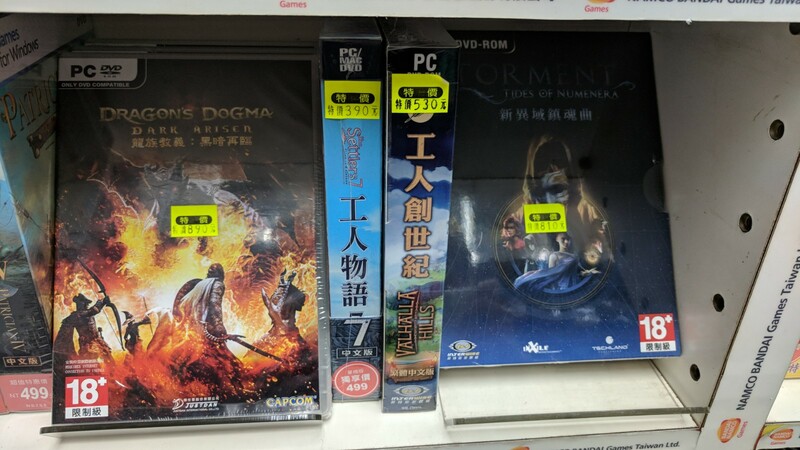 My favorite ones focus exclusively on PC games, and I love how you can find classics (still shrinkwrapped!) 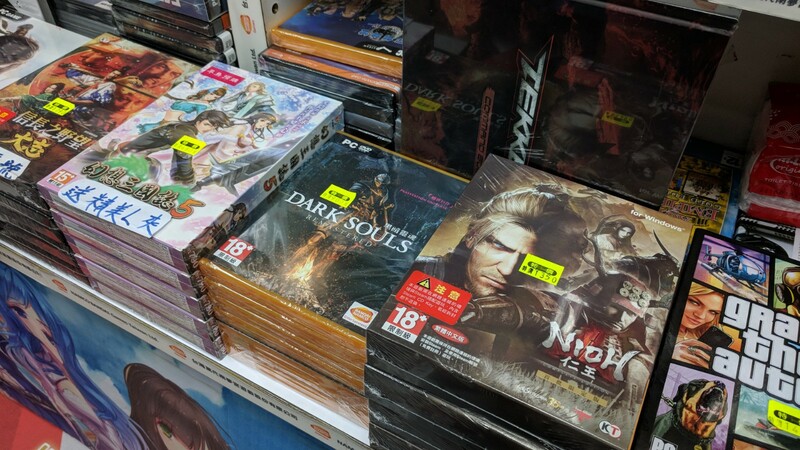 right next to the biggest games of the last couple years. 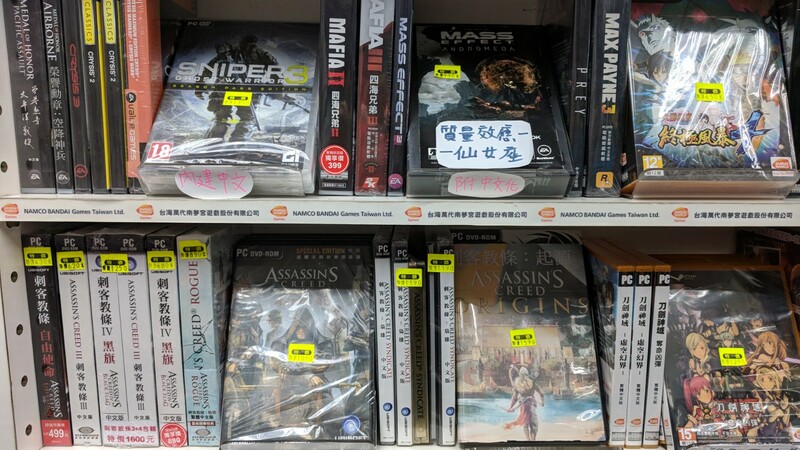 The really fun part of exploring these stores is seeing the cover art used in Asia vs. the West. Sometimes it's the same, but with Chinese lettering instead of English. For some of these games, it's art I've never seen before. 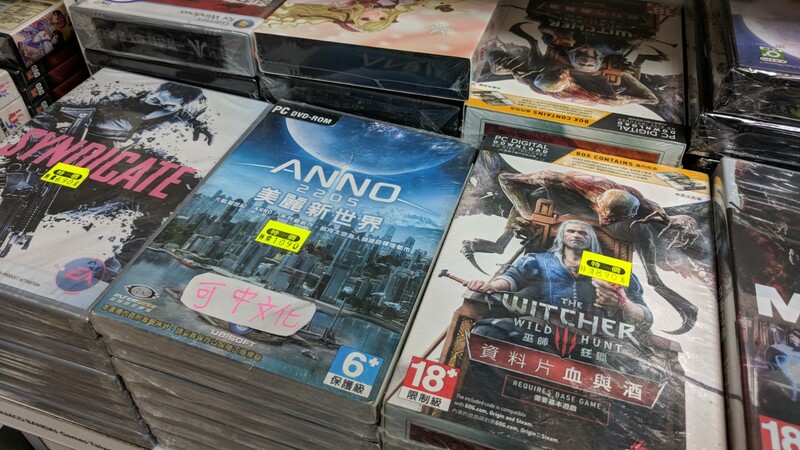 Even in Taiwan, the majority of new PC games now come in standard DVD cases. For physical collectors, that's a lot better than nothing, but it's still a disappointment compared to the luxurious cardboard big boxes of the '90s. 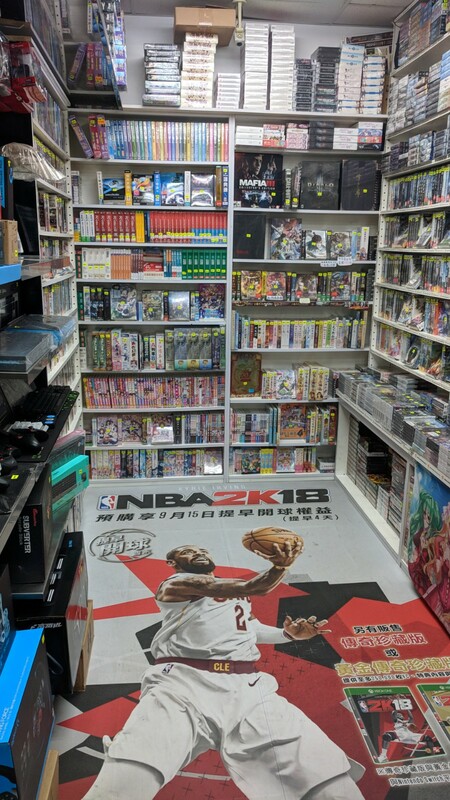 But as you'll see in this gallery, the big box dream is still alive: plenty of games still come in nice, chunky cases, and the retro selection is healthy. Browse and enjoy.